It’s easy to see the value of data derived from people counting sensors. Knowing the number of people coming and going can give great insight into your foot traffic trends and how they translate into overall sales. Taking it one step further and integrating this technology with your POS system is a quick and easy way to attain even more vital figures. Here are two of the most useful calculations that door counters together with your POS system can provide. What percentage of store entrants ends up completing a purchase? 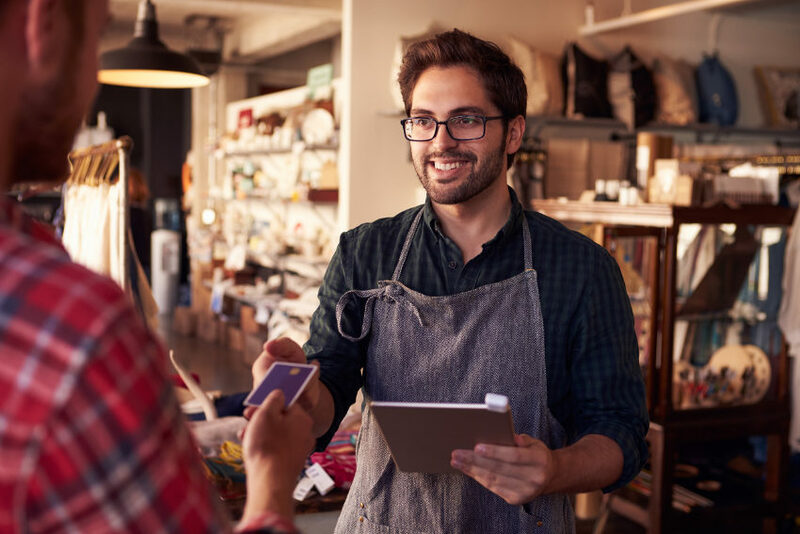 Combined with the sales information straight from your POS, your counting solution can provide data on how well your business “closes” sales with each entrant. Once you know that only 30% of people entering your doors complete a purchase, you can start taking steps to increase this rate. This is also valuable for benchmarking multiple locations. How much is each entrant worth? At first glance, this statistic seems familiar. Your POS probably already tells you—or you can easily calculate—your transaction average. That calculation divides your total sales by the number of transactions telling you that each paying customer spent an average of X dollars. Your shopper value is distinctly different but just as important to know. With data from your door counters, you can view the total sales divided by the total shopper traffic. This sales average includes every entrant, not just paying customers. Why does this matter? Let’s say you own a small business that averages $2000 per day in sales across 50 transactions. Your transaction average is $40 per transaction. Now let’s assume your door counters show 125 entrants per day. Your Shopper Value is $16, and your conversion rate is 40%. Now imagine you can increase your conversion rate to 50% (with 62 transactions off 125 entrants). Your transaction average may stay the same, $40 per transaction, but now your total sales are $2480. Divided by the same number of entrants, 125, your shopper value has increased to $19.84, a 24% increase. If you increase the foot traffic, you can project this shopper value to increased total sales. All of these numbers play a part in a big picture puzzle. Your POS reports can only tell part of the story. By integrating your POS with your people counting technology, you can get a more full picture of your current standing, potential problems and possible solutions. You can even use these integrated figures to attain more accurate projections. With the explosion of tablet registers in the past few years, you have dozens of options for your POS system. Even if you already have a traditional POS system, the tablet registers and their generally lower fees are enticing. They are also much more user-friendly, especially for small- and medium-sized businesses. The following are some of the most popular POS systems that integrate well with people counting solutions. All of these options use an iPad (though some can run with less expensive brands of tablets) as the main interface, as well as a backend accessible through your desktop browser. This backend allows easy updating and inventory management, with some software capable of auto-ordering supplies and products. You can also look for a tablet POS that includes staff management or table layouts for restaurants. Basic with e-commerce functionality– $69/mo +2.9% swipe fee +$0.30 per transaction. Each upgrade in plan includes a discount in swipe fees. If you don’t need staff accounts or hardware (cash drawer, receipt printer, scanner, etc. ), you can slash your monthly fee to $29. Once you have selected the best POS system for you business, make sure you integrate your people counting solution as soon as possible. Your charting of Conversion Rate and Shopper Value can begin tracking your progress and guiding your business decisions in the best direction.